During the three years that Kyrie Irving and LeBron James were teammates on the Cleveland Cavaliers, the two players occasionally butted heads. On Wednesday, Irving indicated that he had called James to apologize for the conflicts that led him to sometimes reject James’ attempts to lead the team. 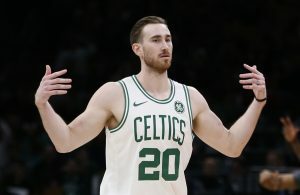 “Obviously, this was a big deal for me, because I had to call ‘Bron and tell him I apologized for being that young player that wanted everything at his fingertips, and I wanted everything at my threshold. I wanted to be the guy that led us to a championship. I wanted to be the leader. I wanted to be all that, and the responsibility of being the best player in the world and leading your team is something that is not meant for many people. While their first season together ended with Irving suffering a fractured kneecap in the 2015 finals, the following year forever etched the two players in the history of Cleveland sports. Irving connected on a 3-pointer in the final minute of Game 7 of the finals to break a tie game and James ended up being named MVP for the series. 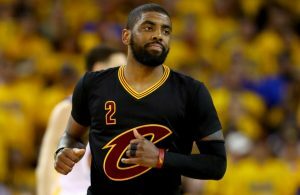 Following the 2016-17 season, Irving requested a trade, with some reports citing his desire to no longer play with James. He was traded to the Boston Celtics, while James left as a free agent during the past offseason to sign with the Los Angeles Lakers. 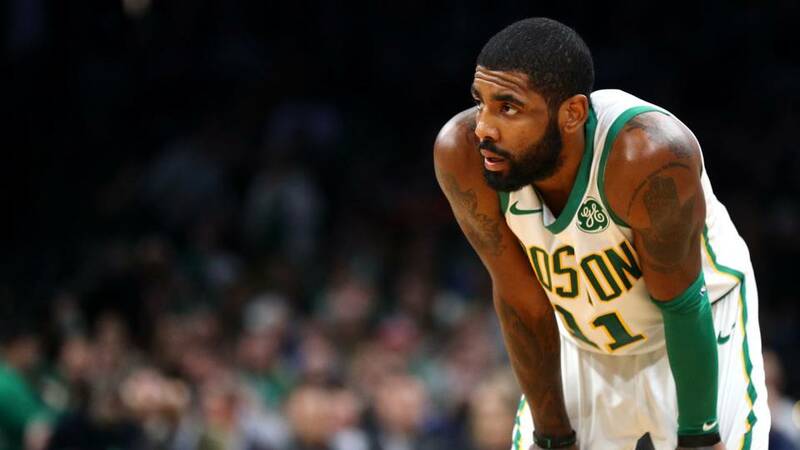 The impetus for Irving’s call to James was related to pointed comments he had made toward his Boston teammates earlier in the week. The Celtics were largely considered to be the favorites to win the Eastern Conference this season, but have struggled to stay consistent. Following a win over Toronto on Wednesday night, they have a 26-18 record, good for fifth place within the conference and six games behind Milwaukee. “Being in this position is something new for me. So I take it with a grain of salt and I just enjoy all of this. So having that moment to be able to call a guy like that where we’ve been through so much, where we won a championship together … it took a lot. Cavaliers fans will have two opportunities to watch Irving and the Celtics in action before the season ends. 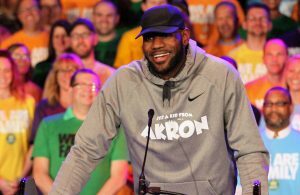 Boston comes to Quicken Loans Arena on Feb. 5, followed by an appearance on Mar. 26.